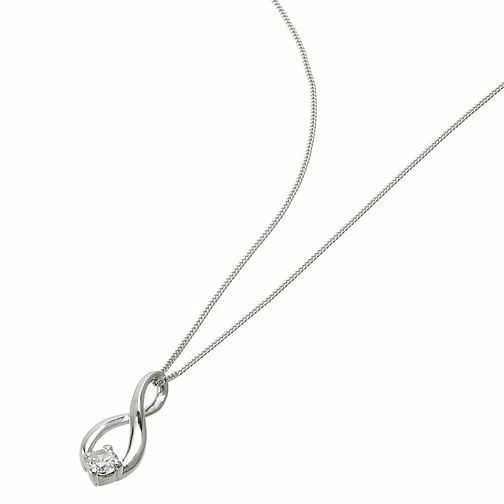 Add a touch of glamour to your look with this sparkling cubic zirconia pendant styled in a chic figure of eight. Crafted in luxurious 9ct white gold. 9ct White Gold Cubic Zirconia Figure of 8 Pendant is rated 4.0 out of 5 by 2. Rated 5 out of 5 by Anonymous from Beautiful I Brought this as a gift for my Goddaughters 14th Birthday. She loved it.